There are so many places in the world that we are able to go and visit and explore but some places in the world are just either too dangerous or too protected in order for people to enter. They all have important reasons and some of the reasons are even because you could die. There are many more than just these five but these are the top 5 places that are considered a secret that you are not able to visit in the whole world. This Antarctic Island is said to be one of the most far away places on the whole earth. It is a 368 square mile land mass and it has 41 glaciers on the island. Penguins, seals and marine birds among many other wildlife have made this island their home. In the early 2000’s, it was noticed that a almost mile and a half long flow of lava was coming from the south west part of the Heard Island. 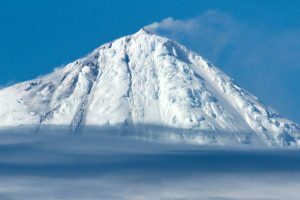 The volcano is close to 3,000 feet high and it has been active since it was noticed in the early 2000’s. If the volcano itself is not scary enough to keep you from even wanting to go to this island, the weather on the Heard Island Volcano is known for being absolutely terrible. Also even if you were allowed to enter this island, it would take you a minimum of two weeks to get anywhere and the only way you would be able to get anywhere is by sailing. All of these reasons makes it one of the most dangerous, and difficult places in the world to get visit and get to. 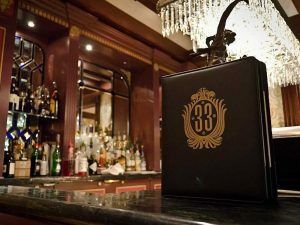 Disney Club 33 Exclusive Club. This club is at Disneyland which is located in Florida. It has a very low key looking front door which makes is difficult to find but this door is actually the entrance to a highly exclusive members only club. The club is not open to the public, only members, which include Presidents of the United States, business leaders and actors. All of the people who are a member of the club are able to have guests go with them, but other than that, you are not allowed to enter. Snake Island is close to 20 miles from the Sao Paulo shore. This is the Golden Lances Heads home which is a incredibly poisonous snake. This snakes venom is able to eat through flesh. This snake is one of the most deadliest snakes in the entire world. There is over 4,000 of these snakes on the island in Brazil, but the locals at this island say that there is one snake for every five square meters of the land. Because of this, the Brazilian government has made it pretty much impossible for any visitors to come to this island. 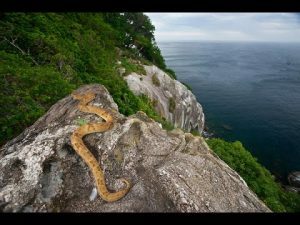 There is one exception though and it is that every few years the Brazilian government will give just a few scientists a permit in order to access the island so that they can study the snakes and get more information in them. This is also known as Bureau 39. It is a secret organization and its only purpose is to find ways to get foreign money for Kim Jong-un. 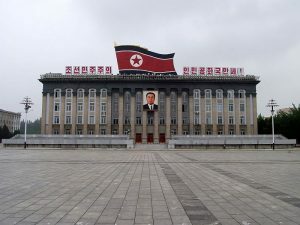 This organization was made in the 1970’s and the organization has been reported as the number one thing that finds North Korea’s economy. There is actually very little that is known about Room 39 but it is believed that the organization has over 20 bank accounts that are located in Switzerland and China. It is said that these accounts are used only for money laundering and any other illegal arrangements that Kim Jong-un has authorized. It has also been said that this organization is a part of smuggling in drugs and the sale of illegal weapons. The only facts about this organization are that this secret group has over 130 trading companies under its jurisdiction and that these companies are all controlled by Kim Jong-un. 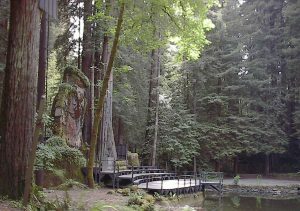 Bohemian Grove is close to 3,000 acres of a rural location in Monte Rio, California. This is a club that allows members only. Members include politicians and other notable figures. The land is owned by private San-Fran who is the host of a two-week, three weekend camp in the woods for the most powerful men in the world. There are many different camps on all the land and in 2007 there were a total of 118 at the location. Each camp has a captain and has things that they have to maintain. There are so many more places in the world that people are not allowed to visit but these would be the top five and the reasoning behind them definitely make sense!